This is a contributed article from Jahangir Mohammed, Founder and CEO of Jasper. Although the revenue projections are always in the tens of billions, forecasts vary when it comes to estimating the impact that the Internet of Things (IoT) will have on business. What all of the experts do agree on is that IoT has the potential to change everything from how businesses operate and make money, to the types of goods and services they’ll deliver; even how real-time, all-the-time interaction will reshape their relationships with their customers. With IoT, we’re not merely looking at a future where businesses are being enhanced by connectivity; IoT is causing us to completely rethink how business is done and how we interact with the world around us. The companies that recognise the opportunity created by the convergence of the digital and physical worlds, and are taking steps to introduce innovative business models, transform industries and deliver new value to customers, will be the winners in the IoT revolution. Shift to service - Every day I work with companies looking to launch, manage and monetise IoT businesses. When they ask me what the secret to success is, I tell them all the same thing: the first step is realising that the Internet of Things is not about “things”, it’s about service. IoT is a direct and always-on connection between your business and the rest of the world. As connectivity is embedded into devices, business value shifts from products themselves to the services that are delivered through them. In this new connected world, customers will come to expect companies to deliver new benefits and services throughout the lifecycle of their products, and those services will become new sources of revenue for the companies providing them. Soon, every business will be an IoT business; it’s inevitable. Those that prioritise the development and delivery of value-added connected services will have the advantage. Use the cloud - Real-time. All-the-time. Those are fundamental concepts within the Internet of Things. Businesses need visibility and real-time control to manage connected services and ensure the best possible experience for their customers. Software-as-a-Service models, delivered via the cloud, are ideal for IoT businesses. Companies are finding that cloud-based solutions not only deliver critical advantages such as speed, efficiency and global access, but address practical considerations as well, from minimising start-up costs, to enabling scalability and supporting business agility. As new functionality is made possible through the cloud, industries are embracing innovative business practices that improve operational efficiency, lower costs, and make them more responsive to customer needs. Among these are capabilities like remote diagnostics and repairs. Rather than issuing product recalls or sending engineers out into the field to implement system updates, cloud-based platforms make it possible for companies to identify and respond to issues automatically, then resolve them over-the-air. Plan to scale - Whether you are a multinational corporation or a small regional player in your industry, if you want to thrive, you will need to scale your business. Whether expanding across the country, or to the other side of the world, when you are ready to move into new markets, you don’t want anything to slow you down. So, as you are building your IoT business, take the time to think long term and anticipate success. Ensure that you are choosing solutions and alliances capable of seamlessly and cost-effectively supporting your future needs. Companies and global value chains are continuously growing and evolving, new products are released and organisations that have global presence want to leverage IoT functionality across multiple borders. Automate, Automate, Automate - IoT is proliferating at breakneck speed. The number of connected devices – from cars to homes to heart monitors – is quickly soaring into the tens of billions. Even if your company deploys a modest number of devices, say 100,000, for each one you’ll be responsible for mobile service management, real-time engagement, support diagnostics, billing, provisioning and more. In my experience, I have seen that to fully optimise performance and cost, an average device requires 73 real-time actions to be taken per year. On that 100,000 unit deployment, that means 7.3 million actions every year. At that scale, manual processes are inefficient, costly and simply impractical. Automation not only helps reduce response times and streamline operations, it makes your business more agile and responsive, and lets you focus on more valuable parts of your operation. Learn from industry best practices - Have a look at what other businesses are doing with IoT, including those outside your own industry. The possibilities are limited only by the imagination of the practitioners. And some of the most inspiring innovations come from the most unexpected places. Industries like farming, which might not be top of mind when you think bleeding edge technology, are emerging as leaders in IoT adoption. These companies are capitalising on IoT to increase crop yields, preserve precious resources, and make sustainability and profitability synonymous – all while addressing issues that affect us all – like how to feed an ever-growing population. 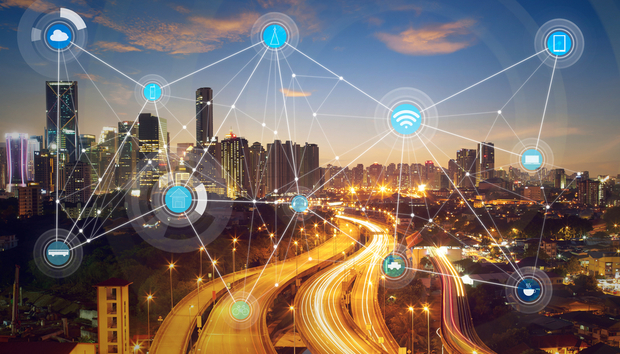 As the physical and digital worlds converge to produce the Internet of Things, businesses are looking to connect with customers in innovative ways that generate new and sustainable sources of revenue. Today, right now, businesses around the world are demonstrating that IoT is more than just hype. Enterprises across industries – passenger vehicles, home automation, agriculture, healthcare, robotics, manufacturing, the list goes on – are having a real impact and deploying IoT service businesses on a massive scale. Your company can be the next to deploy an IoT service businesses that unlocks new profitable business models, fosters extraordinary innovation and creates amazing new experiences for your customers.